DMIT, also known as Dermatoglyphics Multiple Intelligence Test involves a scientific study of fingerprint patterns that help in understanding more about an individual’s personality and potential. This test has been developed by the research experts and scientists from the world famous universities. DMIT is based on embryology, Dermatoglyphics, genetics, psychology and neuroscience. It helps in understanding the inborn potential and personality of the child. DMIT Malaysia has got a wider scope as compared to usual IQ tests because it deals with multiple kinds of skills and intelligence that a person may possess. Many parents have a misconception if the test is painful. But this is not the case. DMIT involves observation of the skin especially the palm, foot, etc. The study of the fingerprints is done with the help of advanced tools that can determine the growth status of the brain. What Can DMIT Tell You? DMIT can tell you various aspects of your personality You can know about the talent, behavior, mood, IQ, reasoning power, drawbacks and many more. DMIT is helpful in a number of ways. It helps you get a better understanding of the well-grown areas of mind, get a clear knowledge of the innate personality and trace the weaker areas of the child through DMIT reports. DMIT is highly beneficial to society. Every year, it is seen that thousands of students commit suicide because of the over pressure of their education. With the help of DMIT, parents can identify the best career for their children. The children will study a subject of their choice and think more logically. This will help children develop a better understanding and shape their career according to their choice. It has been proved medically that the development of the brain and fingerprints is done during the 7th and 21st weeks of pregnancy. Therefore, there is a direct relation between the development of the brain and fingerprints. The study of dermatoglyphics can help parents understand the hidden potentials and talents of their child. It reveals the congenital links between the fingers and intrinsic talents and qualities. Would fingerprints remain the same for a lifetime? Yes. Fingerprints are formed in the womb during 13th to 21 weeks of pregnancy. The development of the brain and fingerprints occur simultaneously, therefore it can be said that the brain and fingerprints are interlinked. It has also been found that the fingerprints of each individual are unique and invariable. What is the link between the brain and fingerprints? As we mentioned earlier as well, that the formation of the brain and fingerprints occur simultaneously around 13th to 21 weeks of pregnancy. American doctors discovered a strange case where a baby was born with a brain. Later on, it was found out that the absence of the brain was also linked to the absence of fingerprints. All these instances testify that fingerprints are related to the brain. During a DMIT test, a sample of fingerprints is collected. For this, you may need to place your finger on a biometric scanner that will scan your prints. The prints will be scanned and thoroughly studied and you will be given a report in a week. The report will give you the interpretation of your strengths and weaknesses and personality. Visit us Today for more Information! 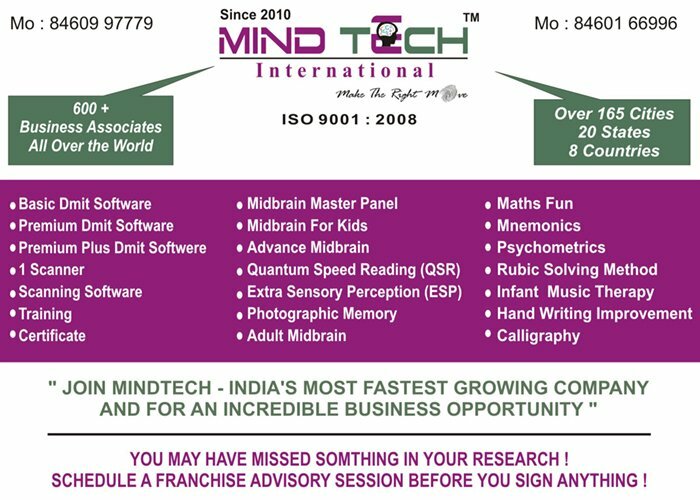 If you want to know about the hidden potential, strengths and talent of your child, visit MindTech. With the DMIT test in Malaysia, you can give your child the best education according to his interests.